What Is the Best Camera for Amateur Photographers in 2018? (3) what key parameters to look for in a camera, especially as an amateur photographer. Life is not possible today without a good, quality camera… Or is it? Well, finding that “good, quality camera” isn’t an easy job. Photography is much more than just a hobby. This seemingly innocent occupation requires a decent investment, the bulk of which is spent on the acquisition of a good camera. Professional photographers who have made a hobby their main job need expensive equipment that has not only high key parameters, but also includes a number of subtle, and often completely redundant functions and settings. Many photography masters say that compact digital cameras are ideal for beginners, the mastering of which is much simpler than studying DSLRs. However, the reverse is also true: if one learns how to work with SLR cameras, the beginning photographer will have a device with a large set of functions and settings that are inaccessible to digital analogues. Do not overlook this factor, because the better is the camera the greater is its the price. It so happened that compact digital cameras are much cheaper than DSLRs, even under comparable (or superior) parameters. However, the latter give greater freedom of creativity, which is the decisive factor in determining the type and price range. Recently, some of the SLR cameras are equipped with a built-in Guide Mode, thereby making life easier for beginners in the photography world. If you are one of the beginner photographers – look for a camera model with the presence of such a function. Do not pay much attention to the clever advertising trick about megapixels, since in DSLR cameras this function is not so important. It is much more important to know the size of the sensor – the more its dimensions are, the better is the color rendering, the higher is sensitivity and less noise even at high ISO values. The camera for a beginner should have at least a 3x zoom, as well as with interchangeable lenses. These factors significantly expand the possibilities of the photographer. Even professionals sometimes need to make several shots in order to achieve the desired effect from photography. Beginners often face the problems of the first-try frame, so autonomy, which determines the number of possible shots with one full charge of the battery, is one of the key parameters. At the very beginning of using a DSLR, it will be very difficult for the user to navigate in the settings. Therefore, you should give preference to cameras with ready-made parameters for different types of shooting, whether it’s landscape, portrait or sport. The implementation of these two functions in the auto mode will significantly simplify the process of photographing for the beginner. Having the aforementioned options in your camera will greatly aid you as a beginner photographer. Now, here are the cameras to expect in this article. (Click on the link to jump to the section you want to read). #1 Canon EOS Rebel SL1 (EOS 100D) Kit – Best price. #2 Canon EOS 80D Kit – Best shooting parameters (25.8 MP sensor). 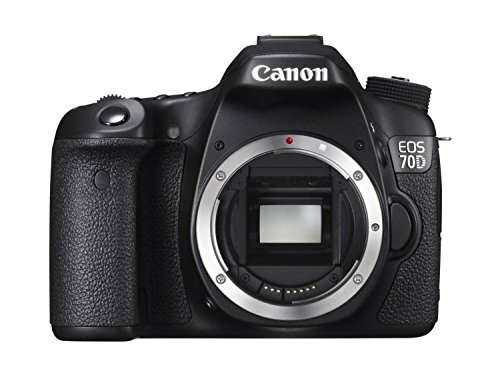 #3 Canon EOS 70D Body – Good balance of characteristics. #1 Nikon D5300 Body – The best budget SLR camera. (Read our full review here). #2 Nikon D3400 Kit – Optimal price. (Read our full review here). #3 Nikon D7100 Kit – Optimal price-performance ratio. (Read our full review here). 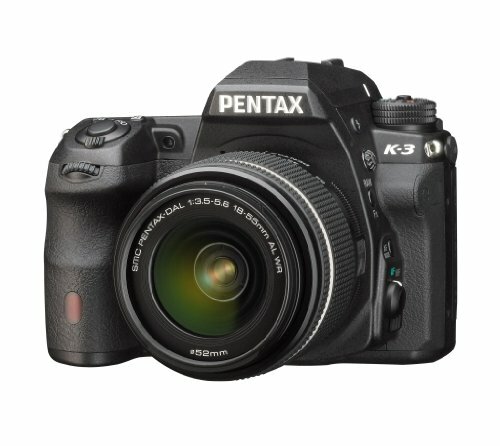 #1 Pentax K-3 Kit – High resolution (24.71 MP sensor). #2 Sony Alpha SLT-A58 Kit – Best price. #3 Sony Alpha SLT-A68 Kit – Best shooting quality. Canon PowerShot SX60 HS – The best mirrorless (superzoom) camera for beginners. By the way, I will also include video-reviews from YouTube to enhance your knowledge of each camera mentioned below. A camera that has conquered many professionals, is capable of becoming a reliable gadget in the hands of beginning photographers. 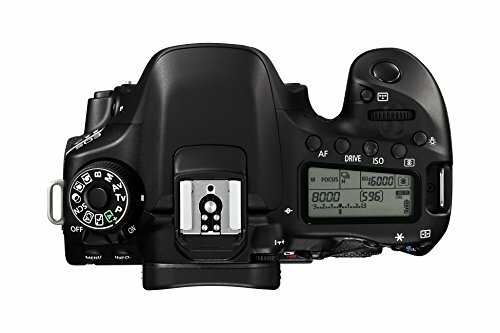 Despite the fact that Canon EOS 70D Body doesn’t have any special positioning, it can be attributed to the category of universal cameras suitable for both photography masters and talented beginners. What stands this camera out is the new structure of the matrix Dual Pixel CMOS AF, which provides smooth and accurate automatic focus adjustment for video recording in Full HD format, as well as fast autofocusing when taking photos in Live View mode. The sensitivity range of ISO 100-12800 allows photographers shooting under low light and use lower ISO values without compromising image quality. Video shooting fans will truly enjoy the stereo sound recording using the built-in microphone, as well as the ability to improve the sound quality with a plugged-in external microphone. In manual mode, it is possible to fully control such parameters as ISO sensitivity and aperture. This freedom of action helps the beginning photographer to improve their skills. Friendly interface still makes you spend some time in the settings but over time you will not have any issues with it. However, many experienced people point out that it’s worthwhile to move on to the EOS 70D while having at least some experience in using high-end DSLRs. Out of features of this model, you can notice the rotary screen, which greatly helps in shooting from uncomfortable angles. It also provides you with the possibility of remote work from your smartphone. If you use a smart approach to purchasing Canon EOS 70D Body, then there are no grounds for discontent and disappointment – the camera is just as good as its (rather average) price tag. Canon EOS 70D is a worthy successor of the semi-professional cameras. It combines the reliability of older models, high performance and affordable cost. Between the auto focus, audio displays, touch screen and great camera body I think this one is a real winner. I can recommend it to both novice amateur photographers and experienced enthusiast photographers. 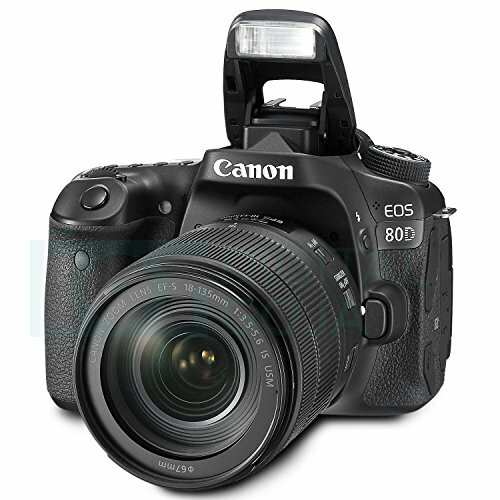 Canon EOS 80D is a mid-level SLR camera that can become an excellent “educational device” for beginners, and is also guaranteed not to get lost among advanced camera models. 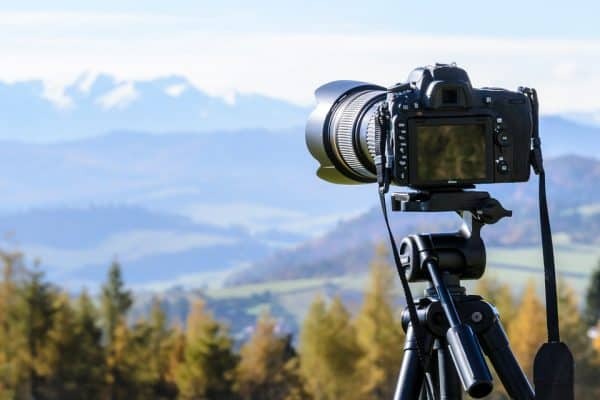 The study of Canon EOS 80D Kit can last a very long time – the search of all possible modes and functions (especially if there is an extended set of lenses) is capable of capturing novice photographers for several days. However, the result of such “harsh” studying can exceed all expectations: beginner photographers talented by nature can see impressive results from the very first works. The ergonomics of EOS 80D is a successful compromise between size and convenience. It does not take up much space compared to its full-frame counterparts and it’s comfortable shooting with it. It is also convenient to operate the camera using the touch interface. Fully articulated touch screen of Canon EOS 80D deserves a special praise. Video shooting is possible in Full HD resolution with a frequency of up to 50/60 frames per second. The videographer is offered an excellent autofocus, the manual exposure control, and an input for headphones and a microphone. Canon which always confidently felt in the market of SLR cameras, further strengthened its position by releasing another very successful model – the Canon EOS 80D. And even though this camera does not have any revolutionary or breakthrough technologies, its main advantage is a serious set of characteristics and qualities. For enthusiast videographers, this camera is simply a gift, providing a working phase autofocus in Live View mode in combination with a fully articulated touch screen and an output for an external microphone. In a nutshell, a successful semi-professional camera. Canon EOS Rebel SL1 (Canon EOS 100D outside of the US) is the most budget-friendly SLR camera in today’s top-10 list of the best digital cameras for beginners. It is also one of the best Canon cameras overall. It has good technical data: it has high ISO values, it provides high-quality automation work and a wide range of convenient auto-modes. Even a professional photographer will be glad to work with this camera as the true potential of the camera outshines many of the competitive models. First, compactness and a light weight of the SLR camera (407 grams without the lens) should be noted, which, in comparison with the older models is a good result. Secondly, the ergonomic parameters turned out to be successful: the camera focuses quickly, the camera’s grip is convenient, and the control can be done via the touch screen. If you don’t take into account the noise starting from about ISO 6400, then the Canon EOS 100D Kit can safely be attributed to the category of the best cameras for beginners. The quality of the picture corresponds to the level of the amateur DSLR. In the kit with the camera goes a standard kit zoom lens – EF-S 18-55mm F3.5-5.6 IS STM lens with quiet autofocus, which is considered the best for video recording. When recording scenes, you can focus by touching the screen. Overall, a beginner in photography will find in Canon EOS Rebel LS1 a great tool for creating his/her first photo frames in many ways thanks to automation and a great system of built-in hints. Canon EOS Rebel SL1 combines the advantages of a DSLR and a compact digital camera. It is the smallest, lightest DSLR available on the market. If you replace the kit lens with a compact fix, this SLR camera will take up a minimum of space and become an ideal companion in distant travel. 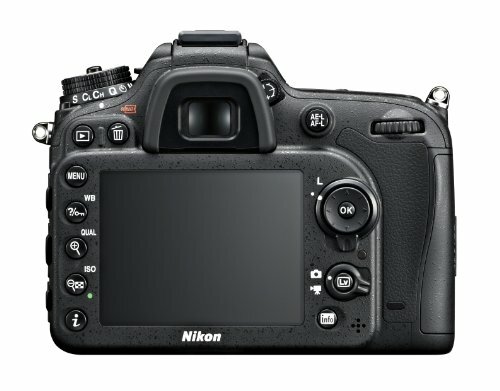 Nikon D7100 is a classic SLR camera. Many manufacturers, unable to withstand competition, switched to the development of alternative camera options – mirrorless cameras, translucent mirror technology cameras, or compact cameras. However, Nikon is still loyal to the traditions and continues to produce some of the world’s best SLR cameras. 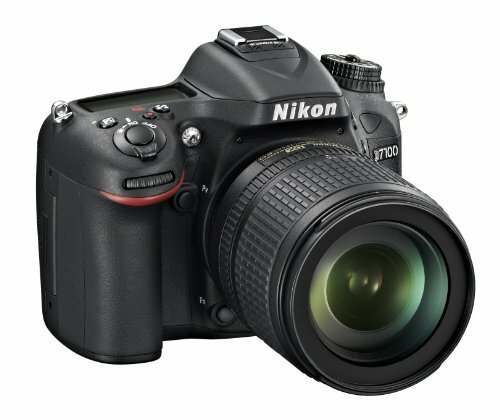 Nikon D7100 is a great camera in terms of price-quality ratio, suitable for those who already had worked with cameras at least from a low-price range. In the heart of the camera is a 24-megapixel CMOS sensor with a physical size of 23.5 x 15.6 mm. Since this filter is not available on Nikon D7100, nothing gets in the way of obtaining maximum image detail. Switching from point-and-shoot cameras to this camera will not be as easy as it seems. This camera will be very harsh to complete beginners, as the learning each button and the meaning of all the icons on the monochrome display can take more than just a day. This is the only reason why this model is not recommended to aspiring photographers as their first DSLR. Of course, for this case there is a fully auto mode available. On the other hand, if you have basic photography skills, the set of settings available on this SLR can’t but make you smile. As for the technical equipment, the camera outshines most of its competitors, including from its own line. Nikon D7100 Kit works well when shooting landscapes. Nikon D7100 is an excellent choice for an enthusiast photographer who is familiar with the theory and practice of photography. In general, this camera was very successful given its highest quality of the image (especially with good optics and at low ISO), convenience and fast control, as well as an impressive set of characteristics. Only a relatively little image buffer can limit the serious professional application of D7100. Ergonomic parameters of this camera is exactly what is required for any beginner at the stage of learning about photography. 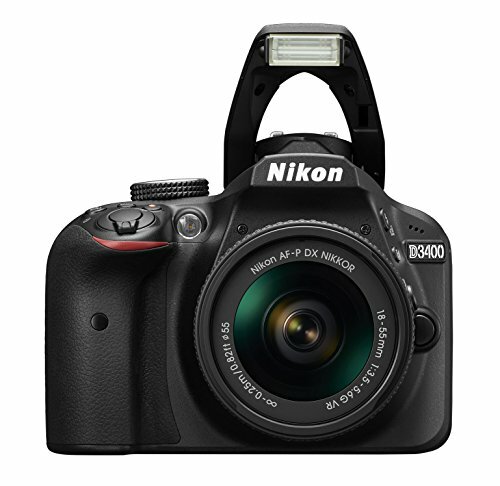 The flagship of amateur cameras series, Nikon D3400 has an exceptionally good body structure, as well as a lightweight design, the weight of which is 430 grams with batteries included. In general, to understand the settings you need an instruction. However, if you have Nikon D3400, you can do without the manual. In this camera, the Guide Mode is implemented. And it’s not just a set of tips, it’s an interactive guide to action! Choose “Shoot”, then “Advanced functions”. Now select the scene or effect that you want to use in the picture. It itself will explain which settings you need to apply for this and helps install them with its understandable graphical interface. With one stone you end up killing two birds: choosing optimal settings for the scene, as well as understanding what this or that setting is responsible for. Now in terms of noise and a buffer, some people might not be happy about but keep in mind that you still get quality images. With the price that you’d pay for Nikon D3400, you can simply close your eyes to such shortcomings. D3400 is yet another interesting model from Nikon, which will certainly will suit someone who is not yet sure about their skills in photography. 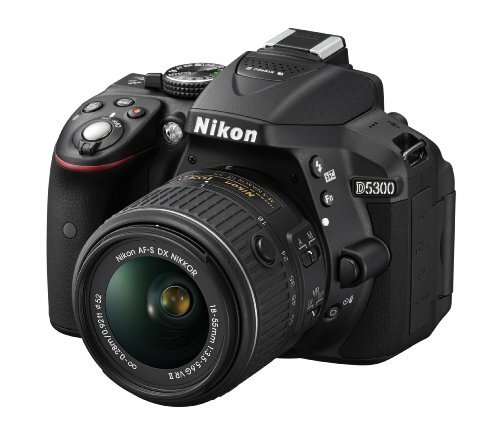 D3400 is a great Nikon DSLR camera under $500. (Please note that price is subject to change). It is able to create surprisingly beautiful pictures, and the excellent characteristics of the device helped it to occupy an honorable place in my top-10 list of the best digital cameras for beginners. Read Our Full Review of Nikon D3400. D5300 sure is one of the Nikon’s best entry-level SLRs. 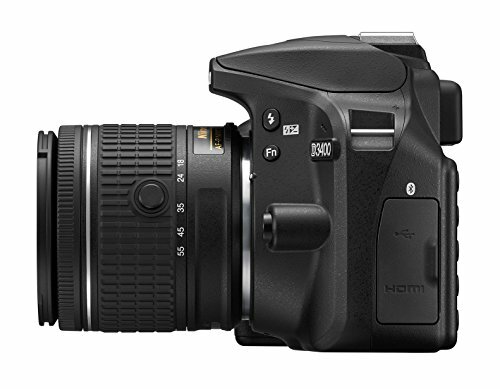 This camera was created similarly to D3400 camera model. Despite the already brilliant ergonomics of the camera, the Nikon D5300 Body presents new improvements. The main changes have to do with the internal filling and related technical characteristics. The resolution of the new matrix was 24.78 Mp, which clearly points to the intracorporate struggle for every one hundredth of a pixel in order to improve the final result of the photo. A lot of work was done on the balance of settings in order to enhance the color rendition and the relevant aspects. Another qualitative leap was made in the field of “weak link” of all budget-average DSLRs from Nikon: good sensitivity finally allows shooting at ISO 1600, bypassing the noise and loss in quality. Considering such a volume of useful work, the purchase of the Nikon D5300 can be an excellent investment. Without doubt, D5300 is great for a first DSLR in 2018 (review + samples). It is equally easy to take pictures in different genres, from landscape to portrait. A great autofocus allows you to even try yourself in a reportage shooting. and the highest for its class image quality – for the latter. It can surprise: when shooting with good lighting it provides the highest detail, and when shooting with low lighting, you will have a clean and noise-free image. Read Our Full Review of Nikon D5300. 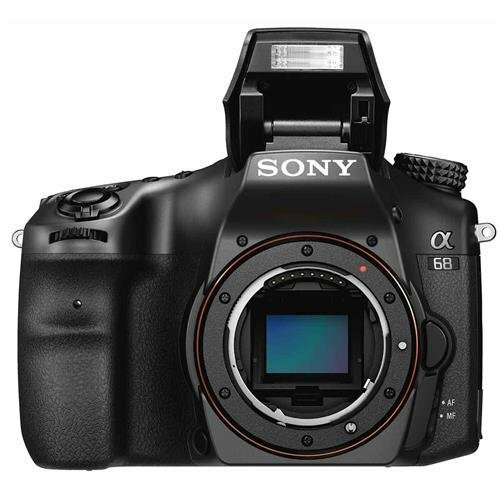 Sony a68 (also known as ILCA-68) is an amateur level camera, endowed with a number of abilities of more serious models. In its essence, this is a simplified version of the semi-professional model ILCA-77M2, from which the a68 has borrowed many strengths. The first one is autofocus. The 79-point phase AF module works clearly, quickly and steadily in all conditions. Face recognition function and focusing on the eyes only adds convenience. It definitely needs to be praised for ergonomics, which is thoughtful and with a finely tuned control. An additional bonus is a monochrome display on the top panel. The tilting LCD also helps in operation. With Sony a68 you can shoot great panoramic photos, and enjoy the HDR photography. Video shooting is also at its best: Full HD with a frequency of up to 50/60 frames per second and a high bit rate. During video shooting, phase autofocus is enabled. As for the quality of the image, the camera confidently shoots at ISO 1600, with the ISO 3200 being already a “border line”. The 24 MP resolution is perfectly implemented in Sony a68 – with the correct settings, you can achieve an excellent balance of color depth and naturalness, something that lacks in many of its competitive cameras. Also, it has slightly reduced detail compared to camera models that are equipped with anti-moire filter sensors. Sony a68 is the most anti-crisis camera in the market. It is an excellent solution for photographers making the first step to professional photography. This model allows you to receive beautiful shots in difficult conditions, and it has many advanced features borrowed from Sony’s older sister ILCA-77M2. Yes, the developers saved themselves from work on secondary elements but this way they minimized the cost of the camera. 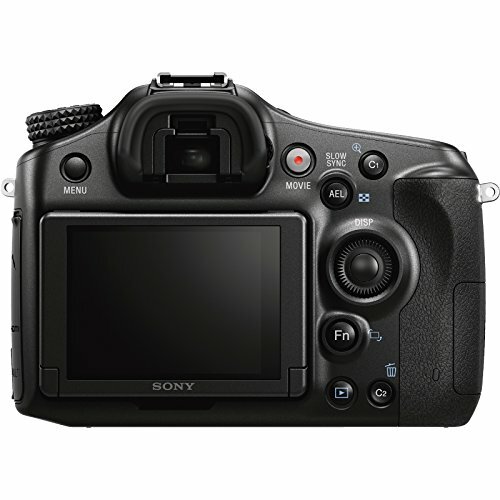 Sony SLT-A58 represents a compromise between price and quality. And you need to consider it from this point of view: as the simplest camera in the lineup, the replacement of SLT-A37. In this case, all the disadvantages of the camera such as small buffer size, average kit lens and noise at high ISO values become quite forgivable. It has some advantages too. First of all, it’s the price. Sony a58 is a camera that costs less than $500. Add to this convenient camera body, thoughtful management, the ability to build a frame on a tilting display with the preservation of fast phase autofocus, a capacious battery … And in the end we will get a very good camera for a beginner photographer. 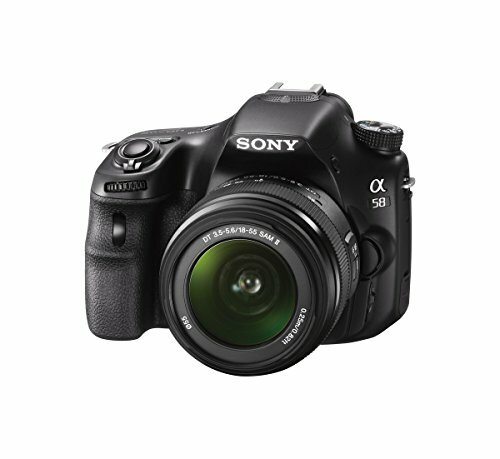 Sony SLT-A58 is designed for novice amateur photographers. It is perfect for those who want to buy their first camera and those who already got tired from limited capabilities of point-and-shoot cameras. This is a simple, but at the same time, a functional camera that can realize almost any creative intentions of a beginner photographer. Beginners will certainly enjoy its ability for a fast autofocus, an abundance of auto modes and various additional effects. Another Japanese mid-range camera, recommended for beginner photographers to acquire. The main feature of the Pentax K-3 Kit is a phenomenally good picture, even despite the installed kit lens (making, for example, pictures on Canon seem very mediocre). If you’re primarily into landscapes, consider getting Pentax K-1 (review). The filling of this device really looks decent: a matrix of 24.71 Mp allows you to take photos with a resolution of 6016 x 4000, and instantaneous stabilization is achieved due to the use of optics and the shift of the sensor. The manufacturer also improved the phase focusing compared to its earlier camera models, which is a bonus. A few interesting points to notice in terms of Pentax K-3 ergonomics. The first is that the manufacturer explicitly copied the control elements from Canon, and the second is an amazingly comfortable grip, even despite the camera’s significant weight of 800g. Pentax K-3 is an excellent choice for a photo traveler. It has proven itself in shooting in the most difficult conditions: no snow, no rain, no shortage of light will be a problem. Pentax made a rather great camera, which can confidently compete with other mid-range SLRs. Out of all cameras, it can be argued that mirrorless compact cameras are the most suitable for beginners in terms of acquiring photography skills and developing as a photographer. One of the most worthy candidates for the title of the best mirrorless camera for beginners is Canon PowerShot SX60 HS, which has, if not outstanding, then quite great technical characteristics and ergonomic parameters. As with many Canon products, this camera has the Connect function, which is necessary for remote shooting and fast transfer of multimedia data via Wi-Fi. Its main advantage is a lens with an amazingly high optical zoom of 35x. It will be appreciated by travel lovers who will like taking photos of things in distance that they can’t physically come close to. For most buyers, this superzoom is likely to be the first digital camera, so its ability to work in automatic mode plays a very important role. Of course, the auto mode option of this camera can be relied upon. It does a good job of determining the exposure in most complex scenes, and, if necessary, it is ready to receive corrections from the user. And it’s yet another great budget camera that you can get for less than $500. You should consider getting what’s called a bridge camera – these devices tend to be more affordable than DSLRs, with similar handling and versatility, and many offer superb features like the massive 65x zoom of the Canon PowerShot SX60 HS. If you just came into the world of photography and you need an inexpensive camera with the most versatile lens, then this is your choice. You decided to get into the world of photography because you are not satisfied with point-and-shoot cameras anymore. Since the professional cameras can be too expensive and difficult to master for beginners, and the simplest models will not allow you to seriously improve the skills of photography, you might have a look at the cameras that were mentioned in this article. All the aforementioned cameras have auto modes and large sensor, and almost all of them have the possibility of using interchangeable lenses, which will allow you shooting in any conditions. I hope you enjoyed our top 10 list of the best digital cameras for beginners in 2018 and let me know which camera you found most suitable for you in the comments area below! Over to you: What camera is the best option for an amateur photographer in 2018? A very good review you have done. My teen daughter has been wanting to join her school’s photography club and was looking for an affordable camera to start with. So glad to have found your site. With quite a bit of choice here, I am having difficulty to figure out which one to go with. Anyway, thanks so much for the review and I shall go through them again to find the most suitable and affordable. I will assume here that your daughter has no basic knowledge in the photography. Now, out of this selection, I’d most likely choose Nikon D3300 (click to read the specs again). Why? Well, the first camera should be easy to use and easy to understand (the settings and buttons and stuff). What I like about this camera is that it’s not only affordable but it also has the Guide Mode which will help your daughter. Another option could be getting a Sony Cyber-shot RX100 II (point-and-shoot) camera, which is good for amateur shooting and is quite capable of making a worthy competition for both DSLRs and mirrorless cameras. Thanks for this enlightening article on beginner cameras relevant to 2018. I love taking pictures but I only use my phone! I’ve searched around stores in the city, but there are so many options is hard to know where to start looking. I’m just curious as to what a “mirrorless’ camera is? What does this mean, and does it somehow make it better? Hey Isaya, I agree that choosing your camera can be a challenging task and that’s why I created this list of the best digital cameras for beginners. Of course, there could be a lot more covered and choosing a camera depends on what exactly you are looking for. It’ll be easier to understand what “mirrorless” means if you have basic knowledge of DSLRs. In case you don’t know that – here is how DSLRs (digital single-lens reflex cameras) work. So, to get the light to viewfinder, (1) First the light enters through the lens; (2) second, this light gets bounced off a mirror; (3) Mirror flip-up “transferring” the light through a special prism/sensor; and then (4) it ends up being in viewfinder, that is, a photo is taken. (I wish I could draw a diagram here but that’s the simplest I can explain in words). Now, in mirrorless cameras, the process of getting the light to viewfinder no longer requires having the flip-up mirror and that’s why a new category of cameras is now called “mirrorless”. Hope I could clarify this term a bit for you. EDIT: Forgot to answer your second question. Mirrorless do have some advantages over DSLR cameras, but they have drawbacks as well for example lower batter life or their focusing systems. Otherwise, they are great in a sense that they are lighter and smaller in size. Also, they have an accurate image preview in the viewfinder. This article is exactly what I’ve been looking for! I have an inexpensive camera, but I would really like to get into some more photography as a hobby. I’m really looking for something with an auto mode that I can learn the manual settings as I have time. At the moment I am trying to choose between Nikon D5300 and Canon ESO 750D, but I got confused with lenses. My friends said that the lens is not about what is in the kit (18-55), and that you must choose the best right away. For example, is it worth choosing 18-105? Can they do portraits and everything else (landscapes, children). And also heard that someone was buying a portrait lens of 50 mm, which takes pictures of everything (from portraits to landscapes). How to choose the best option? I don’t want to buy a portrait lens of 50 mm, and then buy another one and change them constantly. Thank you so much for this article and looking forward to your response! Hi Lizzie. Choosing the lens is very individual. 18-55 is the cheapest, and accordingly it is inferior to other models for a number of parameters. The good thing with kit lenses is that it allows you to decide which lens will be next (at a cheap price), what parameters to look at after. As I said, the focal length is very individual, just like the size of the shoe. After all, no one advises you to buy shoes of size 39, just because they are cooler, right? I always thought about getting a camera but could never bring myself to spend that much money on them. Although I was on Instagram and I saw these pictures of people doing “tricks” with light. I guess one person would stand still while the other goes around with a red flare or something around the motionless person. When everything was said and done it looked like the person was on fire. There were other ones with people writing names and stuff. If I was going to buy a camera it would be for stuff like that. My phone can’t do whatever that is so if I were going to buy a camera, which one can do that? Hey James, you got me slightly confused to be honest. Are you sure it was the CAMERA that made all the tricks? Some guys are just amazing with video-graphics and use a whole bunch of special computer programs to create something like that. If it was the camera – then unfortunately, I am not familiar with it. I will research about it though – it got me curious lol. I’m overwelmed with information regarding so many products! A great post but got me a bit uncertain about which one could be a good pick for me. I personally never had a professional camera but have been reading quite a bit about photography and am very interested about it. May I ask what you started off with in your early days? Or what you would recommend to a person that has an eye for colors and loves taking pictures of nature panoramas? Maybe with a 360 degree picture feature too! PS. I think the thing James refered to was something about long exposure time and frame interval settings which let you have in one picture the movement of an object or in the case he was explaining a light /person. Thanks for the nice informative website on cameras. The video reviews provided are great. • The fully automatic mode called scene intelligent auto mode which auto focuses the scene previewed. • The Creative auto mode for adjusting the background for blurry one or a sharp one is a good feature. • Clicking pictures while video recording, though the sound of clicking will be heard in the video. Wish you all the success in your endeavors. Very informative article about best digital cameras for beginners. Even though I used an SLR camera when I was much younger, technology has changed ever since and so I’m not familiar with all the features of modern DSLR photography. So, to get back in I would like to buy a “beginner” camera. If I chose the Nikon D5300 body for the high quality ISO1600 shooting, (which you also mentioned in your best list of Nikon cameras for 2018), what would be a good lens choice to go with it? Hi Ed, welcome back to the photography world! In terms of your question on which is a good lens for Nikon D5300. Frankly, it really depends on your shooting tasks/purposes, and on your budget, of course. I will try to give you a few options based on what you plan to do with it and I will choose pretty cheap versions of them, after all, Nikon D5300 is a budget amateur camera. 1. The most popular lens and one of the best lenses for the price is Nikon AF-S FX NIKKOR 50mm f/1.8G (under $200 price tag). Nikon 50mm f/1.8G is a real “golden mean” – a model with relatively affordable cost and high performance. If I were to say it in a few words, I’d say that it’s ideal for shooting in low light conditions or for shooting portraits with a flat bokeh. It’s Silent Wave Motor (SWM) provides fast and quiet autofocusing. Last but not least, it’s extremely light and compact. 2. If you are into portraits, for example, I’d suggest going with Nikon AF-S Nikkor 85mm f/1.8G (under $500). It’s not exactly my lens but Nikkor 85mm f/1.8G definitely is the choice of a portraitist, (or a wedding photographer). At the studio, the lens is pretty limited unless you shoot with a powerful pilot light. Street portraits shot with this lens are beautiful. Any chromatic aberrations simply go to the background. It’s a bit more expensive than Nikon 50mm f/1.8G but with what Nikkor 85mm f/1.8G has to offer, it definitely is a bang for your buck. 3. If you want a lens for travelling purposes, you can check out Nikon Nikkor 18-200mm f/3.5-5.6G (costs around $650). Now, even though I put this lens in the “travel” section, really it can be used for a wide range of shots most of the time. Now, why would this lens be good for travels? First of all, it has 11x travel zoom. This means that you can shoot distant objects, and it is very important when you’re traveling around. Having bought this lens, you can forget about changing lenses on your trip. In general, the picture of this lens does not differ much from the above lenses. I think the reason why it’s more expensive is because it’s more universal. The only thing that you might not like about this lens it’s its size, you definitely wouldn’t want to use for every day purposes. Overall, I have a feeling that Nikon AF-S FX NIKKOR 50mm f/1.8G will suit you best in terms of shooting purposes and price. It’s definitely a very popular lens option to buy for your Nikon D5300. I hope I could help, Ed! Hello there! I’ve been wanting to have a digital camera but I can’t decide which dslr should I buy. Luckily, I read your article which is very informative and helpful. I read that the Canon EOS Rebel SL1 (EOS 100D) Kit is the best in terms of price for beginners but during my research, I learned that Canon Rebel t6 (EOS 1300D) is also a good camera. How does the Rebel SL1 compare to Rebel t6? Hey John. We can do a quick SL1 vs Rebel T6 comparison. 1. SL1 has a higher ISO sensitivity of 100-12800 (expandable to 25600), whereas T6 has ISO 100-6400 (expandable to 12800). 2. T6 has built-in Wi-Fi & NFC connection and a battery that lasts longer (therefore, takes more shots). This is a pretty huge thing for some photographers. 3. On the other hand, SL1 is lighter, 1 fps faster (I am talking about continuous shooting) and has high quality recording option. They are pretty similar overall, to be honest. Both T6 and SL1 are great entry-level cameras and last time I checked they had a similar price tag, minus/plus $100. Totally forgot, SL1 also has a touch-screen, which T6 doesn’t (some people prefer a touchscreen LCD for easy control of camera functions). It just depends what qualities you appreciate more and this way you’ll be able to make your decision. I have the passion for mountains and I would like to capture as much experience in the mountains as possible in the form of images. Please advise me a good semi-professional SLR camera for that purpose. Or a combination of a camera and a lens with a tilting screen and a Wi-Fi module on which I can take high-quality pictures of the mountains and mountain landscapes. I plan on taking the camera with me to travel around, so the weight and the number of frames on one full battery charge also play an important role. It would be nice bonus if the camera had protection against moisture and fine sand. The lack of video shooting and GPS module is probably what I would like to save on in the first place, since these functions interest me the least. You asked – we answer. Landscape is a pretty democratic occupation in terms of photography equipment. What I am trying to say is that absolutely any DSLR camera with an 18-135mm lens (Canon) or 18-140mm (Nikon) will suit your needs. The tilting display contradicts the idea of protection from dust and moisture, so you need to decide what is more important for you. And finally, it is difficult to suggest a concrete model without knowing the budget that you set out for your camera purchase, so I’ll limit myself to general recommendations. My girlfriend is into outdoor photography and her birthday is coming up. I would like to get her a nice camera, but I have no clue what I am looking for. 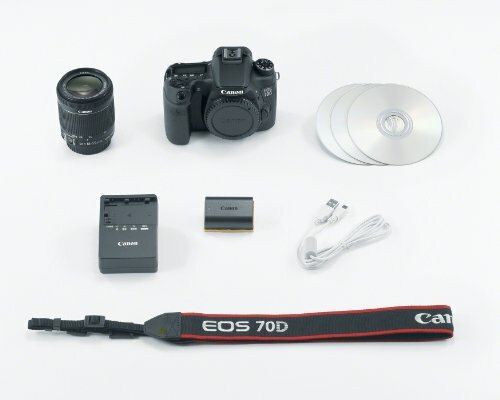 After reading through your review I think i would like to go with the Nikon D7100 Kit. Can you tell me if this is a good camera for shooting outdoors? Also is this camera weather resistant? Or is there another model i should be looking at? Nikon D7100 is pretty good for landscape photography. However, if your girlfriend is an amateur photographer, then this camera might be a little harsh in a sense that it can take a while to learn the buttons and icons on the display. That’s why I wouldn’t recommend it to complete beginners. I’d say Nikon D7100 is a great camera in terms of price-quality ratio, BUT it is suitable for those who already had worked with cameras at least from a low-price range. Also, the benefit of D7100 is that it’s weather sealing compared to its alternative, Nikon D5300 (also on the list). The disadvantage is that it is more expensive. Nikon D5300 It is one of the best landscape cameras on the market, and you could get very professional landscape photos with the right choice of lens. The camera is also smaller in size and weight, so for some ladies with small hands, that’s a bonus. As a wide-angle lens with D5300, you can consider Nikon 10-24mm f/3.5-4.5, which is ideal for landscape photography. If it will be too expensive, you may want to consider getting a cheaper camera body but a better lens like this. However, if your girlfriend likes more extreme weather conditions, Nikon D5300 is NOT a good choice. For that, Nikon D7100 would suit better. Anyway, there is a lot of factors to consider as always but I still hope I could help you out. For a while I had point and shoot camera but now I feel like I need to start doing photography and upgrade to a DSLR camera for beginners. I plan to take photography classes but I have an issue with deciding which camera I need to get. I was thinking of nikon d5300 18-140 mm vr. Will this camera and camera lens be good for learning process and for photography gigs after? Any cameras under 1000 dollars – that’s my budget. What do you recommend? Or should I consider Canon cameras instead? Meliza, starting your photography journey with this Nikon camera and this lens will absolutely be enough. For non-hectic commercial work in good light conditions Nikon D5300 with 18-140mm f/3.5-5.6G ED VR is totally enough. If your new photography work picks up and you start making decent income with it, you can invest in a new camera that upholds the requirements of a professional photography better. In any case, Nikon D5300 sure is one of the Nikon’s best entry-level SLRs and it is a good digital camera choice for beginner photographers. Hope it helps. Thanks for your help with cameras. I can’t call myself a photographer but I take a lot of photos for my graphics work. Right now I use a canon ixus but I do a lot of editing on photoshop and I find the pictures are very pixellated. I guess my mistake was going by the megapixels. I have been looking for a better camera to buy in 2018, and have been looking for a while now, but I always found it rather daunting with all the choices available. Without doubt, your camera reviews/camera buying guide is great and clear. From what I’ve learned from the article, I like the sound of the Canon Powershot SX60. It looks like it has enough features for my graphics work and the price is not as much as the others! Also, earlier I came across one of the Nikon cameras – P610. Do you know, by any chance, which one is better Canon SX60 or Nikon P610? 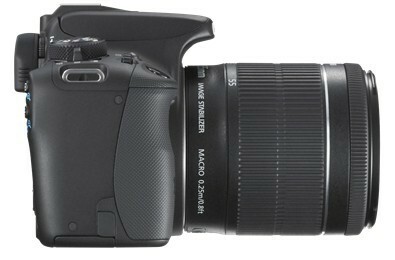 If I am not mistaken, Nikon P610 has 2x faster shutter speed and lighter optics. Hi Hollie, glad to hear you found this buying guide useful! Usually, the higher is the # of megapixels, the better is the quality of the image. I feel you, choosing a camera can be frustrating, especially if you are a beginner photographers and there is just too many options available. I believe that the minimal shutter speed won’t highly affect anything. I don’t really think you’ll have many photo scenes for it to be used. And since you mostly take photos for your graphics work, I think choosing Canon Powershot SX60 is a wonderful choice. First of all, it is a compact camera. So, as being an amateur, I think you will appreciate the fact that it’s not bulky. Secondly, it does have a lot of great features, yet won’t confuse or bore you out. Thirdly, if you travel a lot and use travel pics for your work, then having the 35x zoom will definitely be useful as you won’t always have the chance to come closer to a particular object. Fourth thing is that It has Auto Mode that will be easy for you to use, yet it will still produce quality images. Last but not least! This price tag of this digital camera is under $500. 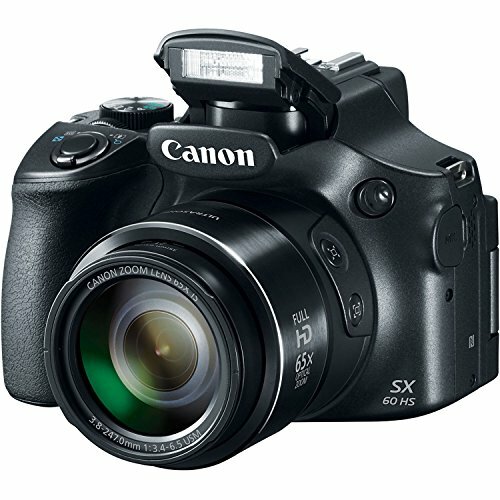 It’s a great price for what you’re being offered with Canon SX60. Hope this helps you make a smart buying decision! I appreciate the time you put into this article. I am a newbie when it comes to photography and I am looking to buy my first digital camera. So yes you can call me a beginner. I am looking for a quality digital camera so I don’t mind paying a little more. I would like your opinion on which of these digital cameras would be best for me? I will be taking mostly pictures outside during the day with some inside. Based on what you say, Chris, sounds like you’d be fine with a basic camera. (What I mean is that you don’t need specialized camera for landscape photography, for example). Any camera from this list will suit your basic photography needs really. It’s hard to give advice to you exactly without knowing your exact price point, your preferred camera brand etc. 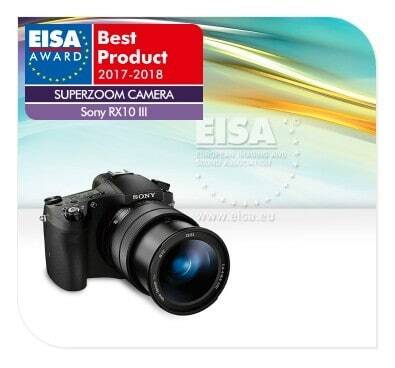 If you have a bigger budget you may want to check out the article on the best digital cameras for 2018 according to EISA. Just don’t choose the ones that were voted as the best “prosumer” or “professional” camera because those will be too advanced for beginners.